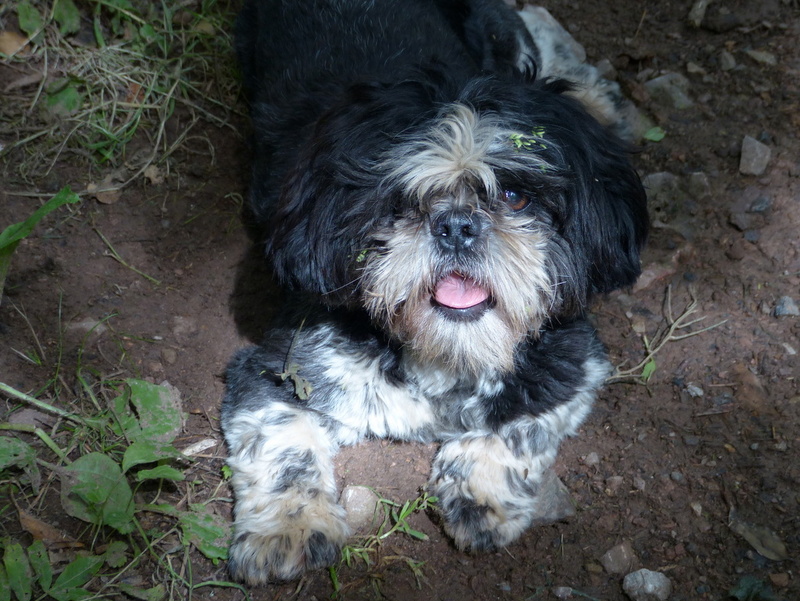 We have had some lovely weather just recently but this morning when I took Fizz out the sun was shining and it felt cool. T-shirt, shirt and body warmer on at mid-day, I think that the summer is fading. So let us not waste a drop of it. 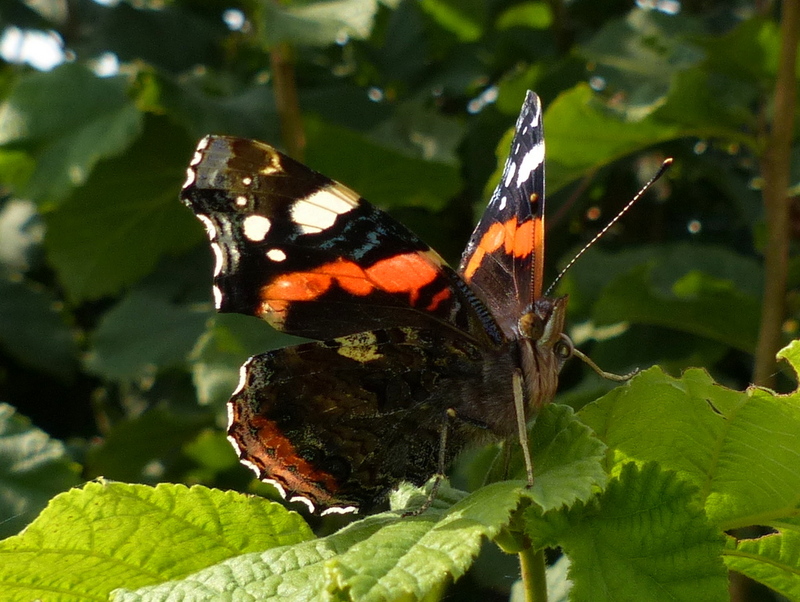 The Red Admiral has frustrated me all summer, I saw plenty but just couldn’t get close and then I got close today. 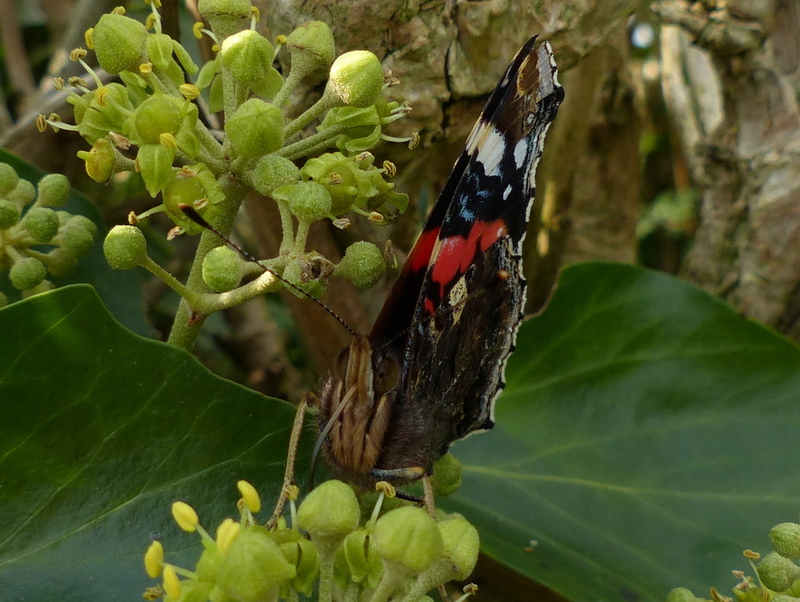 The Ivy seduced the poor animal and it was helpless to resist me. This animal didn’t mind what I did. It was the one that we all look for. 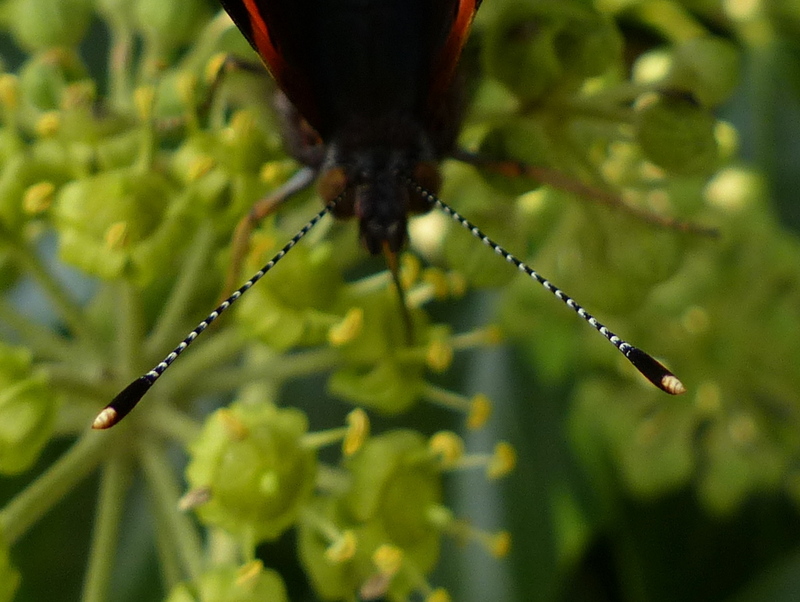 I put my camera down and looked closely with my eyes and I felt in awe of it’s beauty. I could probably have picked it up but I didn’t think of that, anyway it was busy. 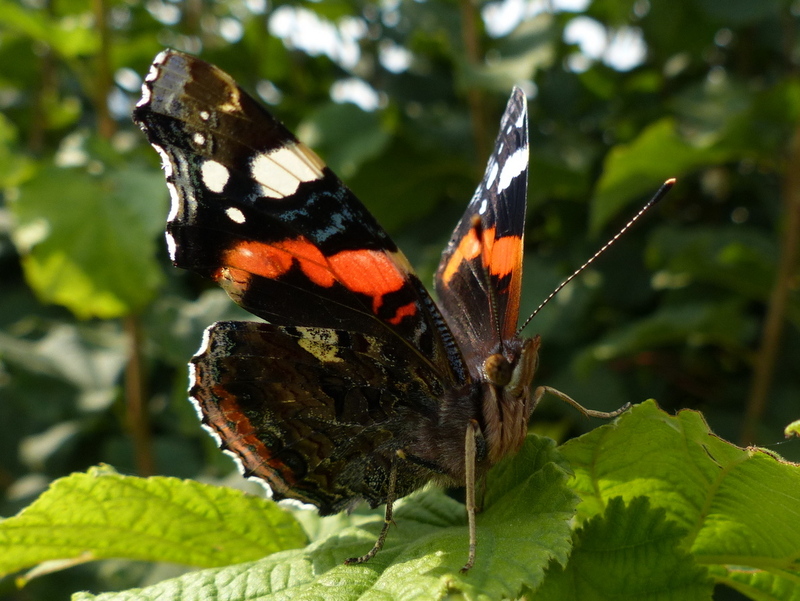 The Red Admiral is a wonderful subject to use when discussing butterfly anatomy because of it’s colour. 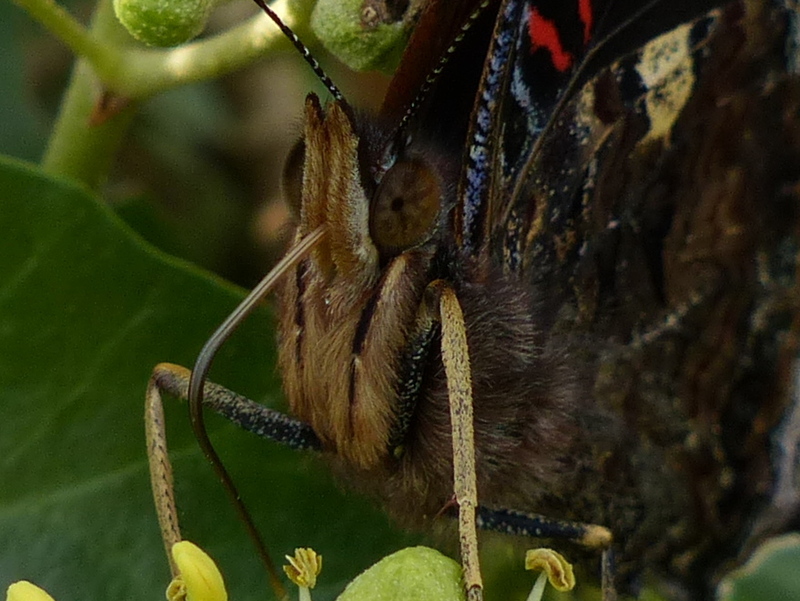 As a brush footed butterfly the hairs on it’s brush feet stand out, it has the best labial palps of any butterfly that I know and it’s probiscus and antennae are pretty cute too but I don’t feel up to doing butterfly anatomy tonight. I am just drinking in a beauty. Anybody who wants to use my photographs to help to explain to their own audience is more than welcome to do so. 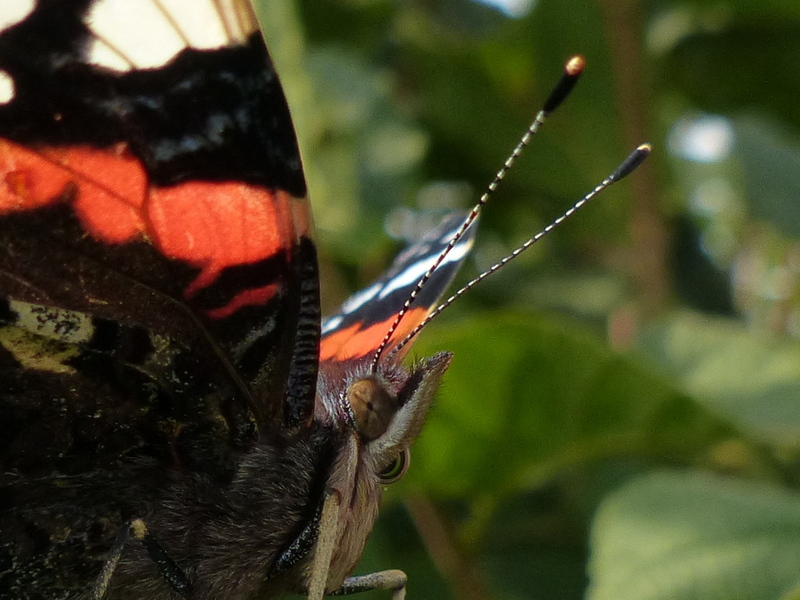 So anyway this butterfly wasn’t comatose and it flitted around all over the place but it didn’t mind me following. 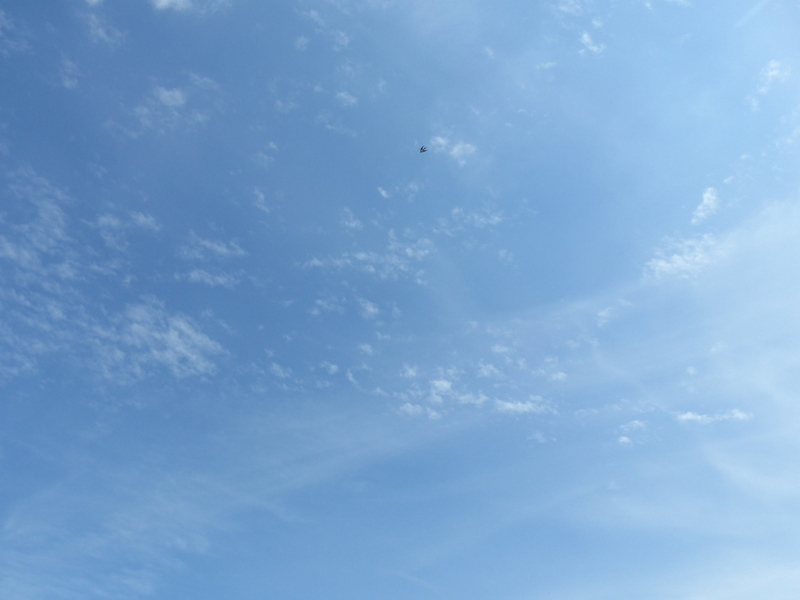 It is just an insect but I think that I am blessed to know an insect. Impressive creature and equally impressive photography. 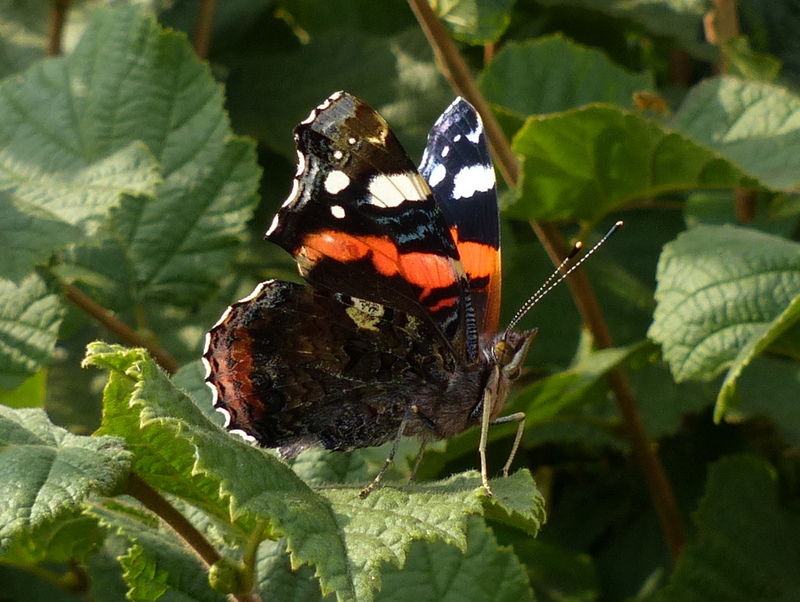 This is the first red admiral I’ve seen all year, which is remarkable given two years ago was a banner year. They were here by the 10’s of, in not 100’s of thousands. Wow, the butterfly and your shots of it, just wow. It’s a very beautiful and common butterfly. Beautiful. And I don’t think anything is “just” something. 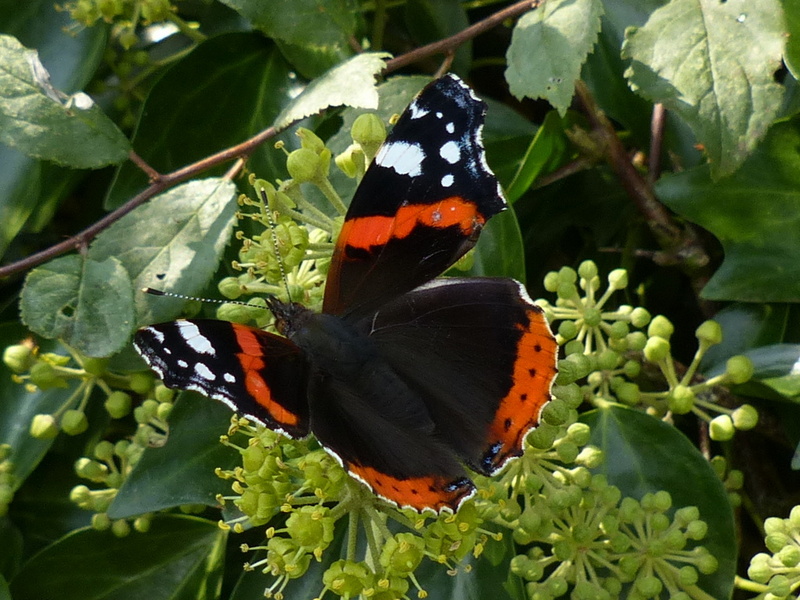 This is a lovely butterfly and you shared it’s loveliness perfectly. Thank your. Well, I think Fizz has a little competition here. But don’t tell her! 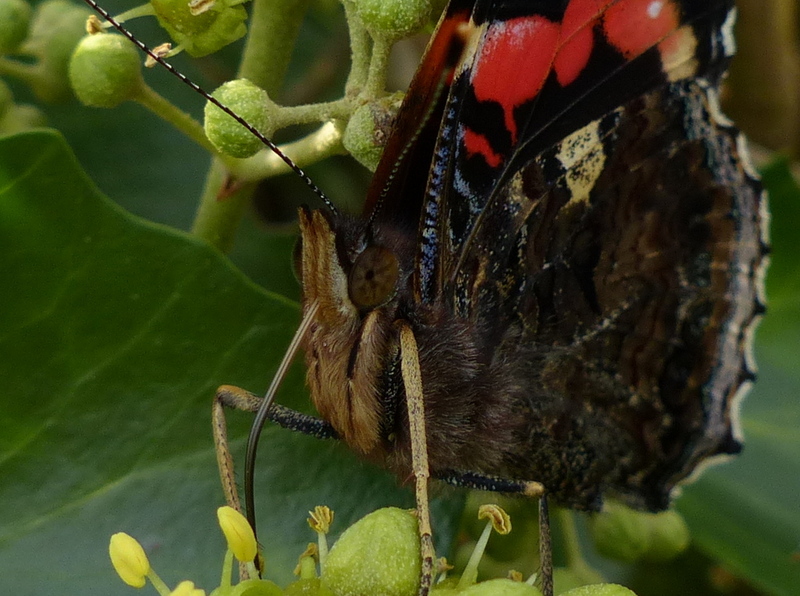 I love the butterfly pictures. You’ll soon see my two favorites on my blog. Thanks Colin, and thank you Mr. butterfly. 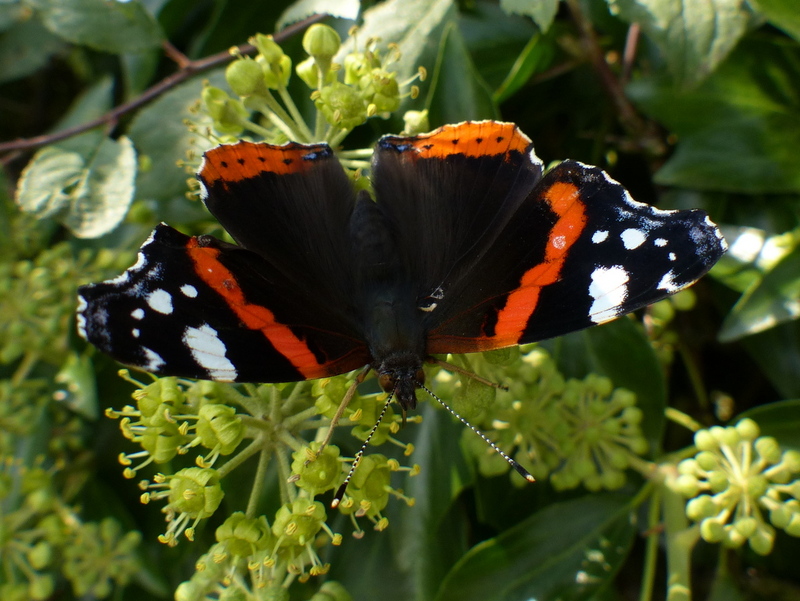 Sad to see the end of the butterflies … we have had a lovely summer chasing them this year … lovely picture of the admiral. 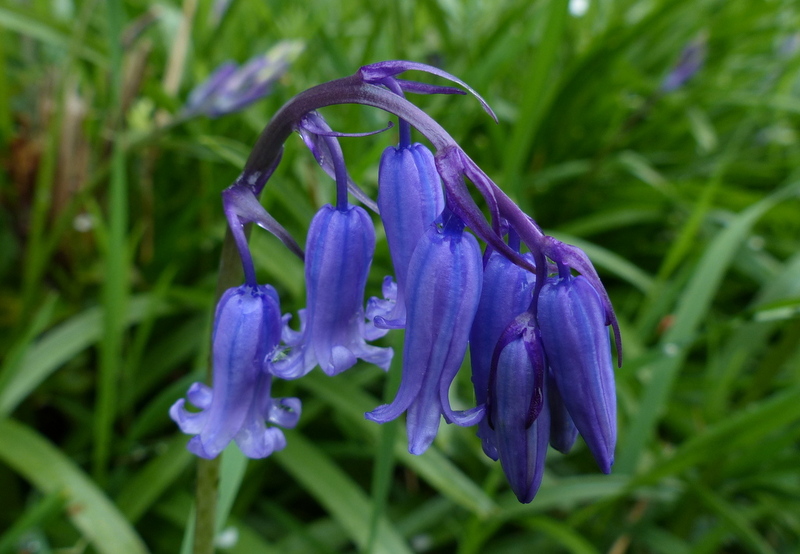 Lovely photos, lovely details:) I found them difficult to photo too – they were much more fickle than the peacocks. 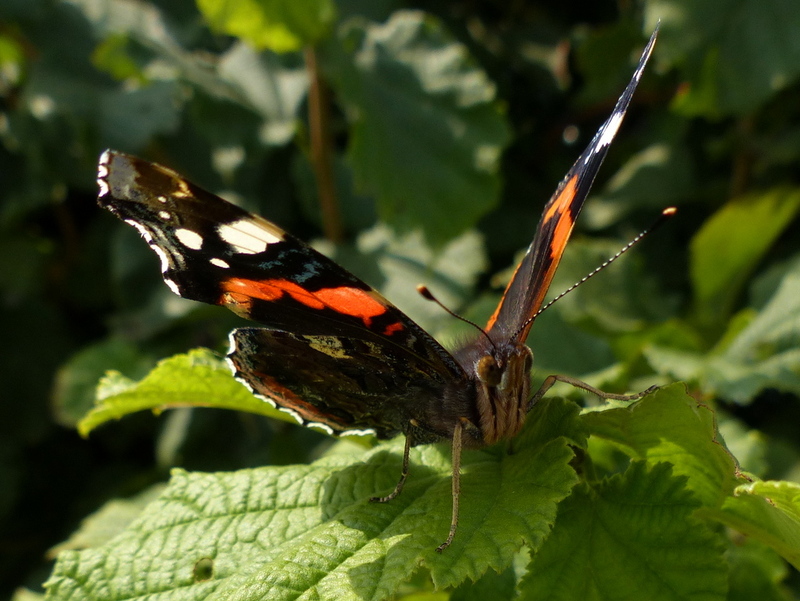 Here in Ireland, I have seen more Red admirals this year than I have for many years. 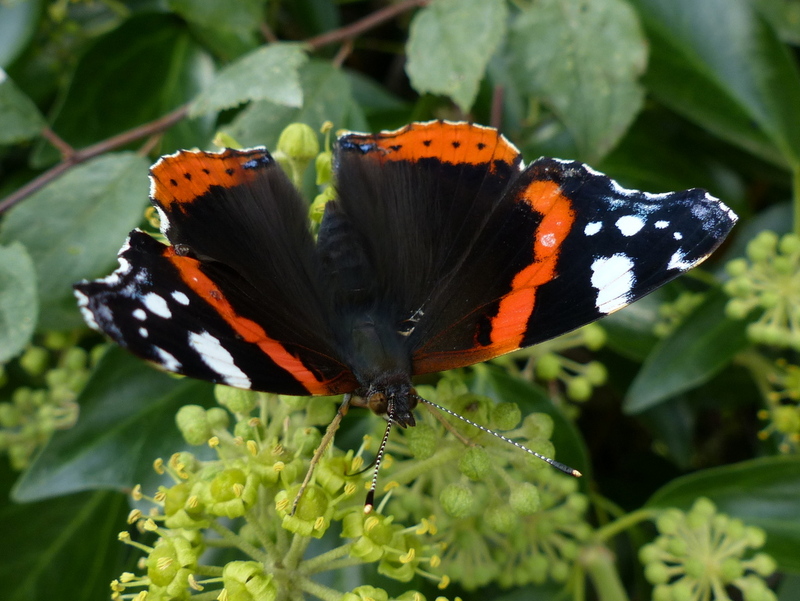 This used to be my favourite butterfly, until I saw one on dog poo. I’ve been a little more wary since then. I’m glad you were finally rewarded in having this encounter.